The people of Barovia live their lives with much to fear. Yet what cows them to huddle around their hearths at night are terrifying stories of rogue fiends that strike without warning or reason. Those monsters, each with their own horrific history, have earned reputations and with them, tempting rewards for anyone who would destroy them. Ezmerelda D’Avenir commands a position in the center of the village, at the service of any who seek to end Strahd’s rule. An experienced hunter herself, Ezmerelda calls upon you to aid in the fight against the forces of evil in Barovia. Once you have learned the lay of the land and gained Ezmerelda’s confidence, she offers you an opportunity to prove yourself on your first hunt, Direfang. For many years, this relentless beast has been taking its bloody share of livestock, villagers and sanity from those who’ve witnessed his attacks. An enormous undead dire wolf, he is said to be vicious and unstoppable. Will you take on the challenge and claim the wanted poster for yourself? Killing this foul beast is only part of the challenge. First, you must find him. To help you predict where this creature will appear, you will need help from a very powerful mystic. The Vistani are master fortune tellers, and for them, Tarokka Cards are more than tools of their craft but necessary keys for their survival. And for a newcomer to the Land of Barovia, you will find that the Tarokka Cards will be just as important to you as well. The spiritual matriarch of the Vistani people, Madam Eva is a most remarkable and reliable seer. She divines guidance, fortune and visions of the future through the reading of Tarokka Cards. Visit Madam Eva’s pavilion and in exchange for your newly acquired Wanted Poster she gives you a unique reading about the fiend you seek and its next appearance. You will hear three clues to the locations where the creature can be found in Barovia. Decipher the clues and use your map. You will get no other help locating your quarry. Once you step from Madam Eva’s pavilion, the hunt has started and all of Barovia is open to you and your party. You find no other adventurers and nearly all of the villagers will be safe in their homes, hoping that you will succeed and free them of this terror. However, outside the village, you will find the usual creatures of Barovia and more. These monsters have survived so long by knowing when to stand their ground and when to take flight. If you fair well, the horror break away and withdraw to another location. You must give chase. Remember Madam Eva’s Clues, mind your map and seek out your prey. You will have a total of 20 minutes to find and destroy your quarry before it escapes into the forest and your hunt will end. After you have completed your first hunt, Madam Eva will allow you to add your own Tarokka cards to the any hunt. 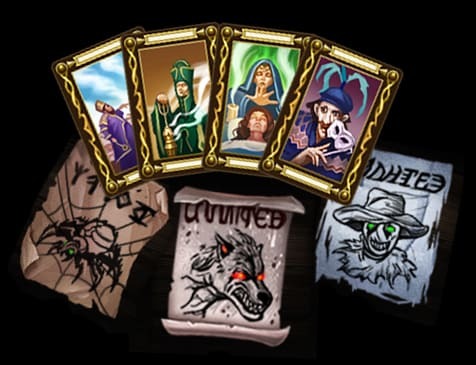 By using the Tarokka Cards you have collected, you will be able to play them during your Hunt’s card reading to increase the difficulty of the hunt as well as what extra rewards you will receive. You may submit up to three cards or none at all. With added difficulties like unable to use items, monsters that can knock you off your mount, and even a dungeon-like challenges, you will need to be bring your best before laying your cards. Beware, the effects of the cards you place add up. Be mindful not to take on more than you can handle. 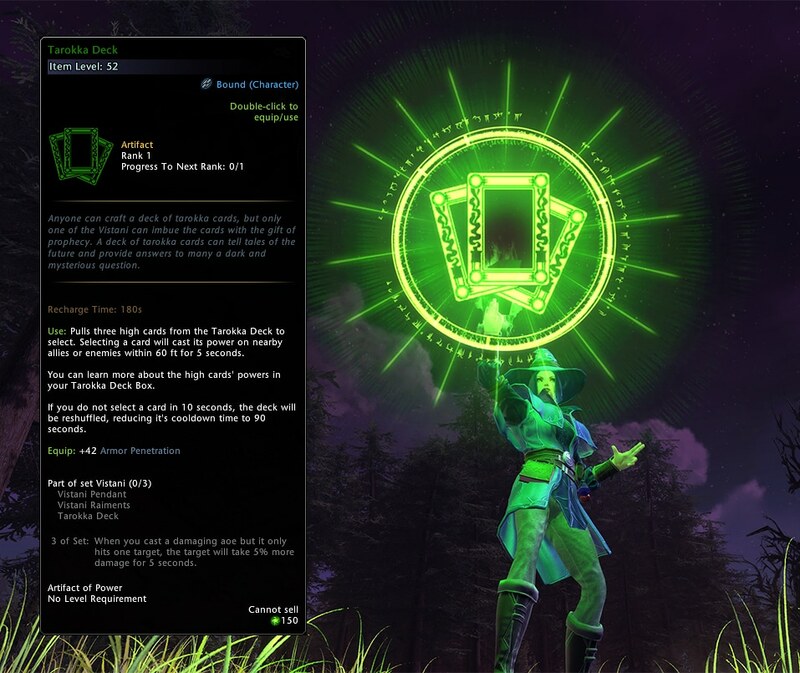 With these difficulties come great rewards like Astral Diamonds, Refinement points and gear. Also, for each Tarokka Card you use in a Hunt, it will increase your chances of getting rare gear from the Hunts you defeat. Just like the Wanted Posters, once Tarokka Cards are used in a hunt, they are gone. Tarokka Cards can be found throughout Barovia, and the proper way to carry Tarokka Cards is a Tarokka Box. The Tarokka Box is a useful item that holds the cards and will let you view all the detail information you will need to know about them. 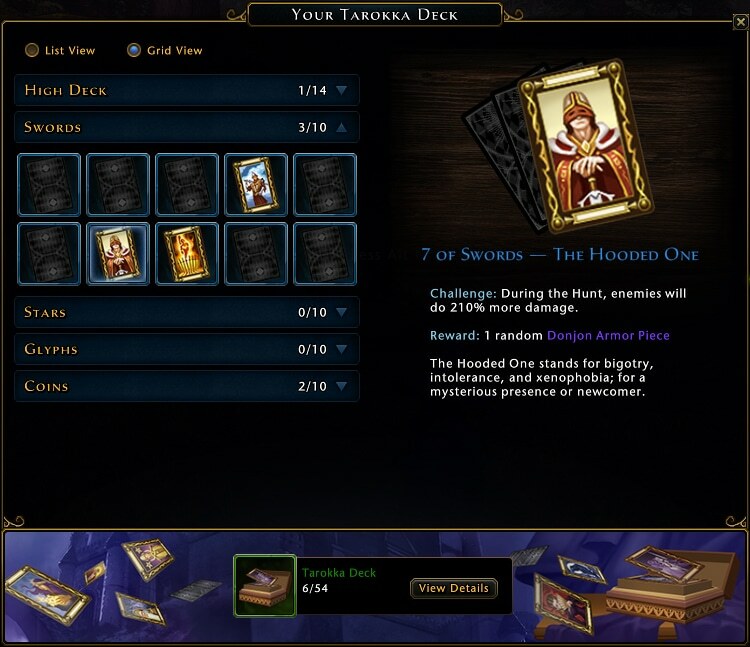 Once you have collected a full deck of 54 Tarokka Cards, you will be able to use the Tarokka Box to merge the cards and create the Tarokka Deck, a lucky and unique artifact that will help you in your futures. As you succeed in the hunts, you will find Wanted Posters of increasing difficulty. Combined with random hunt locations and the variety of Tarokka Cards that can be played, these Monster Hunts should provide rewarding challenges for adventurers of a wide range of level and commitment. Thank you for joining the fight against the evil in Barovia and we hope that all of your hunts are victorious.